Maria Guereca visiting the grave of her murdered son Sergio Hernandez in February. Two-thousand miles away from the Supreme Court's vaulted ceiling and marble friezes, 60-year-old jobless mother Maria Guereca sat in her $20-a-month, one-room apartment with a fan and a hotplate — beside a picture of her dead son. "He told me there was some good news, but we're still waiting for victory," she said in Spanish. "I want justice. This officer cannot be allowed to continue, because there'll be another young victim, then another and another." Maria Guereca says she's in touch with them. "They're all the same — they're over rocks," she said. "They were killed because the border agents said they were throwing rocks." "When there's a situation where your life is threatened by another human being, does nationality matter? It shouldn't." But the victim's nationality is the reason this case reached the Supreme Court. If the teenager had been shot on U.S. soil, he would have constitutional rights and the officer would be liable. But because the victim was standing outside of U.S. territory, a lawsuit has — until now — been impossible. Monday's decision may be the first step toward removing that legal shield. "It's a terrible precedent," Harris said. "If there's no qualified immunity there, what are we doing? The job is already dangerous enough, and decisions like this if ultimately it goes against us it's going to make things even worse." Bob Hilliard, who represents Sergio Hernandez's family, says he hopes the court will "determine that constitutional protections apply along the border to anyone who finds himself at the border with a law enforcement officer in the U.S."
The Supreme Court's decision split 5-2-1. Justice Clarence Thomas dissented, saying liability of federal agents does not extend to "cross-border conduct;" Justice Stephen Breyer wrote a dissenting opinion with Ruth Bader Ginsburg joining. They said Hernandez deserves Fourth Amendment protection because the United States is responsible for what happens on the concrete riverbed that divides the two nations. Justice Neil Gorsuch took no part in the case because he was not on the court when arguments were held. As the Trump administration plans to ramp up security on the border and has already done so in many cases, one court case is being watched very closely. It has to do with whether U.S. agents should get immunity when shooting into Mexico. The Supreme Court, Monday, gave one Mexican mother a partial victory, saying that a lower court had erred in granting immunity to an agent who shot and killed her son. As John Burnett reports, the case stirs strong reactions down the border. JOHN BURNETT, BYLINE: Two contrasting images - the Supreme Court justices in their courtroom with its great columns, vaulted ceiling and marble friezes consider the case of Maria Guereca. 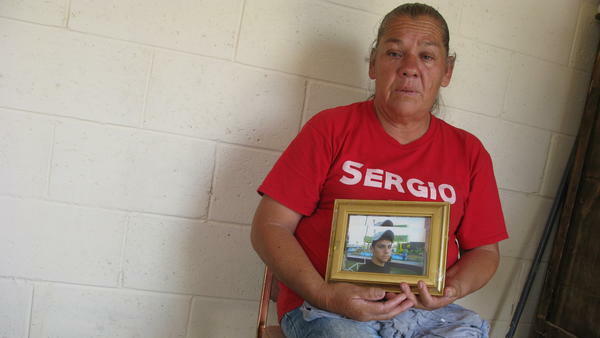 Two thousand miles away, the 60-year-old jobless Mexican mother sat in her $20-a-month, one-room apartment with a fan and a hot plate beside a picture of her dead son. Fifteen-year-old Sergio Hernandez was shot and killed by a Border Patrol agent seven years ago. The lawman was standing on one side of a culvert in El Paso, Texas. The unarmed teenager was on the Juarez, Mexico, side. Federal courts are deciding whether the young man has rights under the U.S. Constitution and if his mother can sue the agent for damages. Monday morning, she received a call from her attorney in Texas. BURNETT: "He told me there was some good news, but we're still waiting for victory," she says. "I want justice. This officer cannot be allowed to continue because there'll be another young victim, then another and another." The high court called the shooting a disturbing incident resulting from a heartbreaking loss of life. It asked the 5th Circuit Court of Appeals in New Orleans to reconsider its decision giving agent Jesus Mesa Jr. qualified immunity from civil liability. He claims he shot Hernandez in the head because the boy had been throwing rocks at him and the agent feared for his life. The FBI investigated the case and sided with Mesa. Hernandez v. Mesa is not the only cross-border shooting case. Three other Mexican plaintiffs are waiting and watching to see if they, too, can pursue lawsuits against Border Patrol officers who killed family members across the international boundary line. Maria Guereca says she's in touch with them. BURNETT: "They're all the same - they're over rocks. 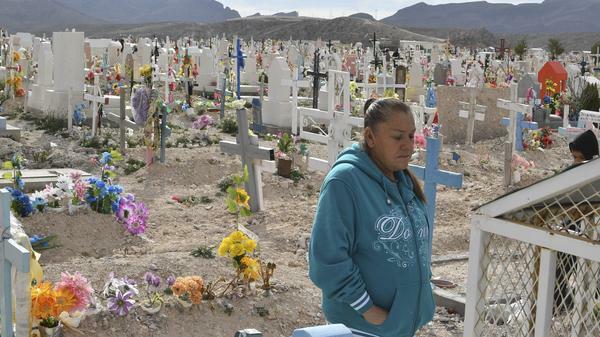 They were killed because the border agents said they were throwing rocks." In each case, the Border Patrol said the agents were acting according to their training. In recent years, in response to these controversial shootings, the agency now urges its agents to take cover or get out of the range of rocks. Stuart Harris, vice president of the Border Patrol union in El Paso, points out that agents can still use deadly force. STUART HARRIS: When there's a situation where your life is threatened by another human being, does the nationality matter? It shouldn't. BURNETT: But the victim's nationality is the reason this case reached the Supreme Court. If the teenager had been shot on U.S. soil, he would have constitutional rights and the officer could be held liable. But because the victim was standing outside of U.S. territory, a lawsuit has, up until now, been impossible. Monday's decision may be the first step toward removing that legal shield. Again, the Border Patrol's Stuart Harris. HARRIS: And it's terrible precedent. If there is no qualified immunity there, then what are we doing? The job is already dangerous enough. And decisions like this, if ultimately it goes against us, is going to make things even worse. BOB HILLIARD: Determine that constitutional protections apply along the border to anyone who finds himself at the border with the law enforcement officers in the United States. BURNETT: The Supreme Court's decision split 5-1. Justice Thomas dissented, saying liability of federal agents does not extend to cross-border conduct. Justices Breyer and Ginsburg issued a separate dissent, saying Hernandez deserves Fourth Amendment protection because the United States is responsible for what happens on the concrete riverbed that divides the two nations. John Burnett, NPR News, El Paso. (SOUNDBITE OF GOGO PENGUIN'S "HOPOPONO") Transcript provided by NPR, Copyright NPR.